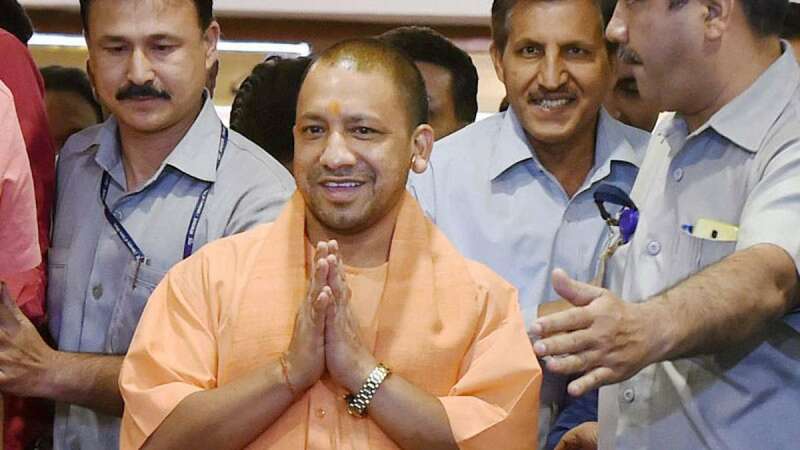 Lucknow : Taking a selfie or clicking pictures outside the high-security official residence of Uttar Pradesh Chief Minister Yogi Adityanath will now be a "punishable crime" and can send one to prison. The Uttar Pradesh Police has banned all kinds of photography, specially on mobiles, outside and around the 5, Kalidas Marg residence of the Chief Minister, an official told IANS. For the uninitiated, a sign board has also been put on the road, asking people not to get into the clicking mode. Officials cite security risks as the reason behind the new diktat, which has baffled many and has been criticised by politicians, including former resident of 5 Kalidas Marg, Akhilesh Yadav. "UP waasiyon ko naye saal par tohfa, selfie lene par lag sakta hai UPCOCA (New Year gift to UP residents, taking a selfie can get you charged under UPCOCA)," he tweeted. The former Chief Minister was referring to the UP Control of Organised Crime Act, the new legislation against criminals moved by the state Bharatiya Janata Party government. There were security restrictions even when Mayawati was the Chief Minister and the entire road leading to her bungalow had been thrown out of bounds for the public. Samajwadi Party chief Akhilesh Yadav, when voted to power, did away with this and termed it a "return of real democracy". The road, other than the Chief Minister's residence, also houses some ministers, judges and Union Home Minister Rajnath Singh, who has a bungalow in the capacity of a former Chief Minister.